We had to search and search for a relatively good goalkeeper to play in our team - the fact that Rob Elliot is sub is testament to that. 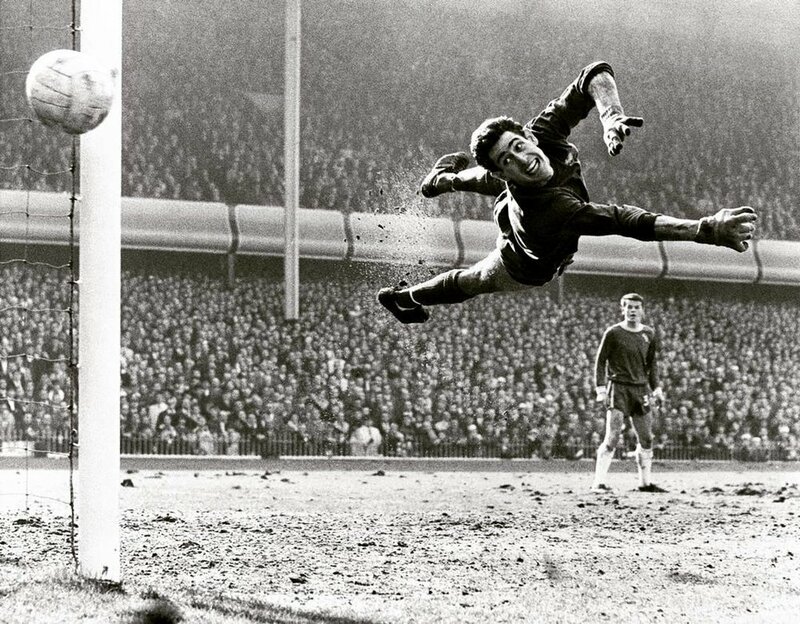 We were quite surprised when we found out that Peter Bonetti was eligible, but he is, he was born in Putney in September 1941, and though he grew up in Worthing in Sussex, we deemed him eligible. Widely regarded as a Chelsea legend, 'The Cat' as he was known was part of a fashionable Chelsea side of the 60s, and was part of the World-Cup-winning squad of 1966, notching up 7 England caps during his career. 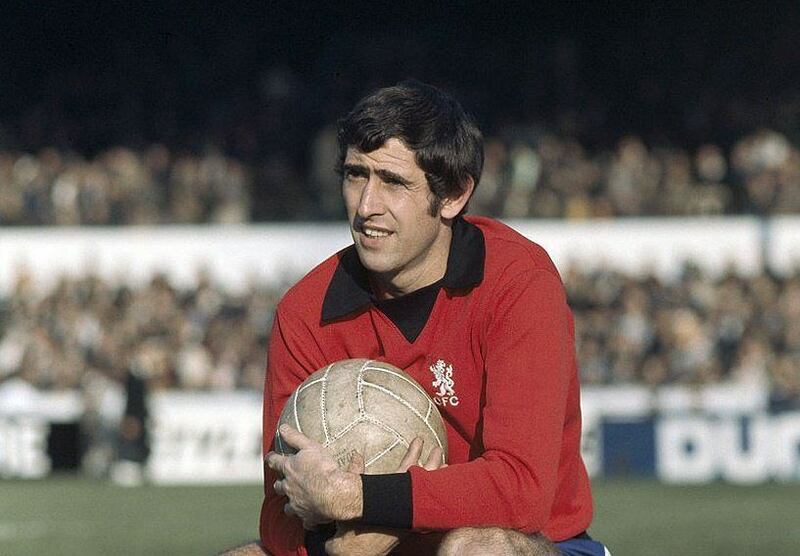 Making a total of 600 appearances for Chelsea between 1959 and 1979, Bonetti was seen as Chelsea's greatest ever keeper until one Petr Cech turned up. Glen Johnson is another player who gets on this list through where he was born. Johnson was born in Greenwich in August 1984, however was brought up and educated just outside South London in Dartford. Having come through at West Ham, Johnson did actually play a number of games on loan at Millwall. The first signing of the Abrahamovich era at Chelsea (great bit of trivia), he left West Ham for £6 million in 2003 before failing to properly impress at Chelsea. Currently at Stoke, having enjoyed stints at Portsmouth and Liverpool, Johnson has is a talented attacking full-back, though with slight defensive issues. Though his successor at Liverpool Nathaniel Clyne is a handy player, we went with Johnson because he's had a successful career, picking up 54 England caps, while Clyne is still forging his. The first proper South London boy on this list, and arguably the best player in the team, Kenny Sansom is seen as one of the greatest English full-backs, let alone defenders, to have played the game. Having been born in Camberwell, Sansom was brought up in Tulse Hill, and came through the Crystal Palace youth academy - making his debut in 1976. After quickly establishing himself as an integral part of a Palace team that saw promotion from the Third Division to the First Division, Sansom eventually moved onto Arsenal for £1 million in 1980, having made 172 league appearances for Palace. It was at Arsenal that he would truly blossom as a player, and play the large majority of his career, making 314 league appearances and earning 86 England caps. Notably, between 1976 and 1987, he was voted by his fellow pros in every single relevant PFA Team of the Year, so the Division Three Team 1976-77, the Division Two Teams between 1977-79, and the Division One Teams between 1979-1987- that's rather remarkable consistency. The second member of our defence born in Greenwich in the 80s, Chris Smalling was born in 1989 and spent most of his youth playing in Kent, but did have a short spell at Millwall's Academy. He joined Maidstone United at 16, while attending Chatham Grammar School in Kent, and from there things got interesting. Having made his debut at 18 for Maidstone, he impressed so much that he ended up taking quite the jump and signing for Premier League side Fulham that same season. His rather meteoric rise continued from there as Manchester United came a calling rather quickly. Still at Man United, he has won two Premier League titles, an FA Cup, a League Cup, and the Europa League most recently, while gaining 31 England caps. Probably unlucky to miss out on the captaincy of the team, Ferdinand is undoubtedly one of the real stars of this team. Born just down the road from Dulwich Hamlet's ground Champion Hill at King's College Hospital in Denmark Hill, Ferdinand was brought up on the Friary Estate in Peckham, where he attended Blackheath Bluecoat School. Commonly understood to be one of the best English defenders of the modern era, Ferdinand joined West Ham's youth academy in 1992, and was earmarked as a player with serious potential from an early age. Having made over 100 appearances for the Hammers, Ferdinand would then sign for Leeds United for £18 million, and onto Manchester United two years later for an eventual £34 million. Ferdinand spent the majority of career in Manchester, enjoying great success as he won 6 league titles (3 successive), along with a Champions League title, while earning 81 England caps, and captaining both Manchester United and England. Though there were plenty of individuals in this team who were vying for the captaincy, there was only one man it could really be. If Billy Bonds was in the team, it was going to have to be Billy Bonds. The word 'fearless' doesn't quite do the man justice. Though many assume that Billy Bonds is an East-end geezer due to his long-term association with West Ham, he isn't. He was born in Woolwich, brought up in Eltham, and started his career at local team Charlton Athletic, having been part of the groundstaff originally. After two very successful seasons at the Addicks, Bonds was eventually signed by West Ham for £50,000 in 1967, and would go onto become one of the most beloved players to put on the claret and blue. An inspirational leader, Bonds is the hardest man in what, as you will see, is a rather no-nonsense South London midfield trio. Born in Lambeth in 1980, Scott Parker attended Haberdashers' Aske in New Cross Gate, and made his professional debut for Charlton in 1997. Parker is the second Charlton youth academy product in this midfield, and though now remembered as a hardman midfielder - not as hard as Bonds though - things weren't always like that. When he first emerged Parker was something of a dynamic box-to-box midfielder who became central to Charlton's relative success in the early 00s. An ill-judged move to Chelsea afterwards, blighted by injury, and Parker was not quite the same player - having to readjust to the role of holding midfielder. Well-liked by fans at almost every club he played due to his tenacity and work-rate, Parker played for five different London clubs (Charlton being the only one south of the river), and earned himself 18 England caps, also captaining his country briefly. David 'Rocky' Rocastle is the third member of our midfield triangle, and easily the most attacking of the lot (you still wouldn't want to get on his bad side). Born in Lewisham in 1967, Rocastle grew up on the Honor Oak Estate in Brockley with future Arsenal teammate and fellow member of this team Ian Wright. As a child he attended Turnham Primary School, and later Roger Manwood Secondary School. Initially turned down by Millwall, Rocastle was picked up by Arsenal, where for a long-time he travelled by train from Forest Hill station to training. At Arsenal, Rocastle would become a truly inspirational figure who was, and still is, loved beyond measure by Arsenal supporters. Former vice-chairman David Dein recalled seeing Rocastle play for Arsenal's youth team and describing to his wife how "we've got a player here who could be a Brazilian, he's got the skill, the technique, the body - and he comes from Lewisham!" 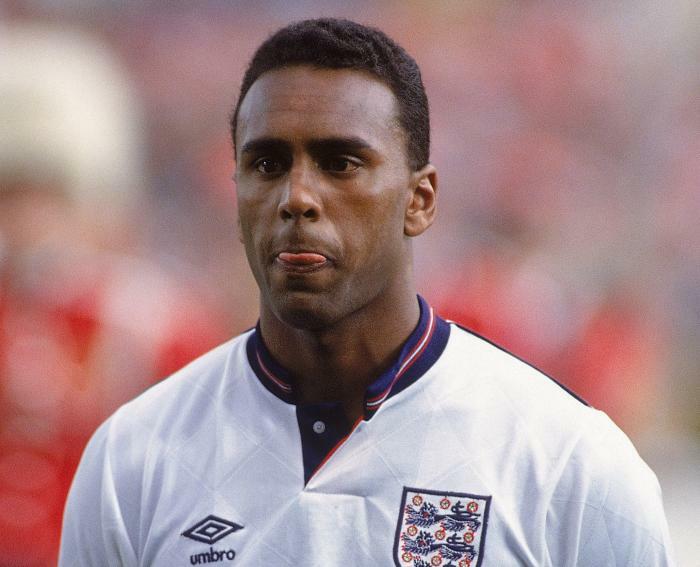 Having won two league titles with Arsenal in 1989 and 1991, and earned himself 14 England caps along the way, Rocastle eventually left Arsenal in 1992, enjoying stints at Leeds and Chelsea. He died tragically in 2001 at the age of 33 of non-Hodgkin's lymphoma, and is remembered incredibly fondly by those who knew him and those who played with him. Now, Victor Moses does not play international football for England - he plays for Nigeria, which is entirely fair enough. He was born in Nigeria, his parents were both Nigerian, and he spent his childhood in Nigeria. Having been absolutely superb for Chelsea in the season just gone, which has seen him rewarded with a Premier League winners medal, we don't think there can be much quibbling over Vic being good enough to get in the team, but how does he qualify? Well in 2001, when Vic was 11, both his parents were murdered, and a week later he arrived in the UK as an asylum seeker to live with foster parents in South London. Attending Harris Academy in South Norwood, and playing in the Tandridge League he was spotted by Crystal Palace, who signed him up and sent him to the prodigious Whitgift School in Croydon - Moses is in quite a small group of privately-educated professional footballers. Six years after arriving in the UK, Moses made his pro debut for Crystal Palace at the age of 16, and would stay there till 2010, when he signed for Wigan, and then Chelsea after that - where he he is currently playing. Like Moses, Zaha was born outside the UK, however he moved to the UK a bit earlier than Vic. Born in the Ivory Coast, Zaha and his family moved to Thornton Heath when he was 4, and was picked up by Crystal Palace at the age of 12. Having made his debut in 2010, Wilf quickly impressed and was touted by many of the Palace faithful as their most exciting prospect since the aforementioned Victor Moses. Obviously blessed with prodigious ability, his performances for the Eagles were so impressive that heavyweights Manchester United purchased his services for a reported £10 million. To say that Wilf's time at Man United was disappointing would be an understatement, and it was a worry whether he would actually fulfill his obvious potential. He returned to his hometown team Palace in 2014 on an initial loan deal, which then became a £3 million permanent deal, and after a couple of okay seasons, Zaha caught fire in the 2016-17 season. Once again he has begun to stand out in a big way for Palace, and it will very interesting to see where he goes from here. 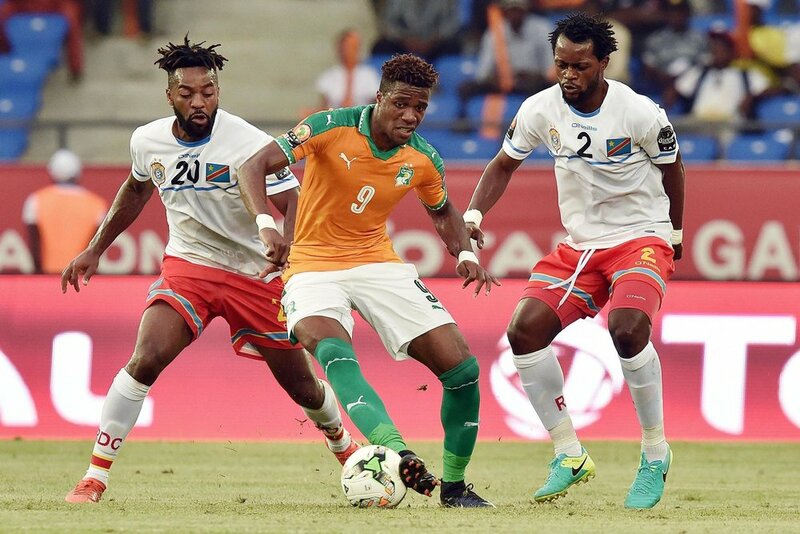 Having been given a couple of England caps in friendlies, Zaha elected to play for the Ivory Coast, for whom he impressed at the recent African Cup of Nations. Ian Wright, Wright, Wright is a South London boy in the truest sense. Born in Woolwich in 1963, he was raised on the Honor Oak Estate in Brockley alongside David Rocastle, who was a couple of years younger than him. After struggling to get his football career of the ground, Ian Wright made the decision in 1985 to sign for semi-professional Greenwich Borough. He was spotted by then Dulwich Hamlet manager Billy Smith, who recommended him to Crystal Palace, where he was offered a trial. After impressing not-yet-but-soon-to-be legendary Palace manager Steve Coppell, he was finally signed at the age of 22. While at Palace, he was instrumental in getting them promoted to the First Division in 1989, and then sealed his place in Palace legend when he came on in the 1990 F.A. Cup final against Man United. Wright not only equalised with an absolutely stunning individual goal, but he then put Palace ahead as well. Though they were pegged back, and eventually lost the replay, it was an incredible moment for Palace and is still spoken about as one of the great F.A. Cup moments. He would only play one more season in South London, before moving to Arsenal for a then club record fee of £2.5 million in 1991. His goalscoring exploits for Arsenal are much spoken-of, and we prefer to talk about his time in South London, but his record of 185 goals in 288 games for Arsenal is quite remarkable. Wright managed to amass a very respectable 33 caps for England during his playing career, and is now enjoying a healthy career in punditry. Now, we're not going to be unfair on Rob Elliot, but he's certainly not the most remakable name in this squad - he is from South London however, and was the next-best goalkeeper we could find. Born in Greenwich in 1986, Rob Elliot grew up supporting Charlton, and joined the club from Erith Town when he was 17. Having made just under 100 league appearances for the Addicks, he's currently backup goalkeeper for Newcastle United, and has played 4 times for the Republic of Ireland. Born in Stockwell in 1991, Clyne is another member of the elite crop of players to come out of Croydon in recent years. 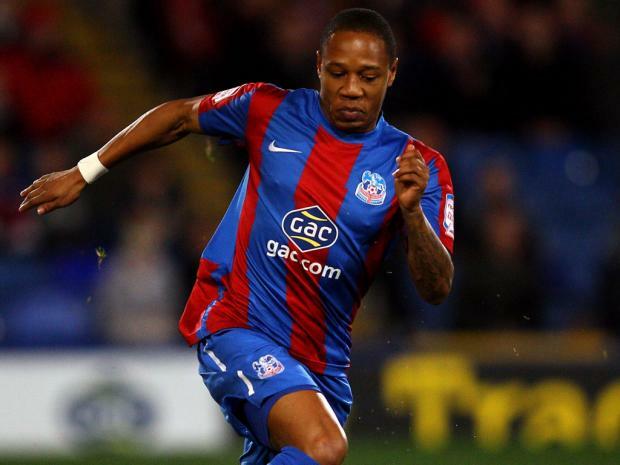 Having made his debut for Palace in 2008, Clyne went on to make over 100 appearances for the Eagles, before signing for Southampton, and then onto Liverpool, where he is currently playing. Having earned 14 caps for England, Clyne was unlucky to miss out on the first team, but we decided that Johnson had been there, done that, and had to some extent proven himself to be a player of a very high standard, while Clyne still has a little way to go. A one-club man for Charlton, Richard Rufus was born in Lewisham in 1975. Having made his debut at 19 in 1994, Rufus would go onto captain the side, and play nearly 300 league game for the club. Injury forced him to retire prematurely, however that has not stopped Richard from pulling up trees, as he was found in 2015 to have operated a £16 million Ponzi scheme involving members of his own family, and congregation members of churches he attended. He pocketed £3 million for himself. Rufus makes the bench, but we're not happy about it. A South-Londoner by birth, Lawrie Sanchez was born in Lambeth in 1959 to an Ecuadorian father, and a Northern Irish mother. Though born in Lambeth, he was brought up in Reading, whom he made his debut for in 1978. He would return to South London however in 1984, when he signed for Wimbledon (then actually playing in Merton), and became an integral member of the Crazy Gang side that won the F.A. Cup in 1988. It was Sanchez who scored the winning goal that sunk favourites Liverpool in the final. Born south of the river in Lambeth, Michael Thomas is remembered for one particular moment - when he scored the last-minute title-winning goal in injury time for Arsenal against title-rivals Liverpool, at Anfield. It was Arsenal's first title in eighteen years, and the moment is memorialised in detail in the film Fever Pitch starring Colin Firth. Thomas would actually go on to play over 100 games for Liverpool, and earn 2 caps for England. We bet a lot of you don't know who Roy Dwight is. Fancy guessing? Okay, we'll give you five seconds: 5 Mississippi, 4 Mississippi, 3 Mississippi, 2 Mississippi, 1, Mississippi. Got it yet? If your answer was Elton John's cousin (real name Reg Dwight), you are correct! But seriously, beyond this connection, Roy Dwight was by all accounts a very well-regarded winger in his time. 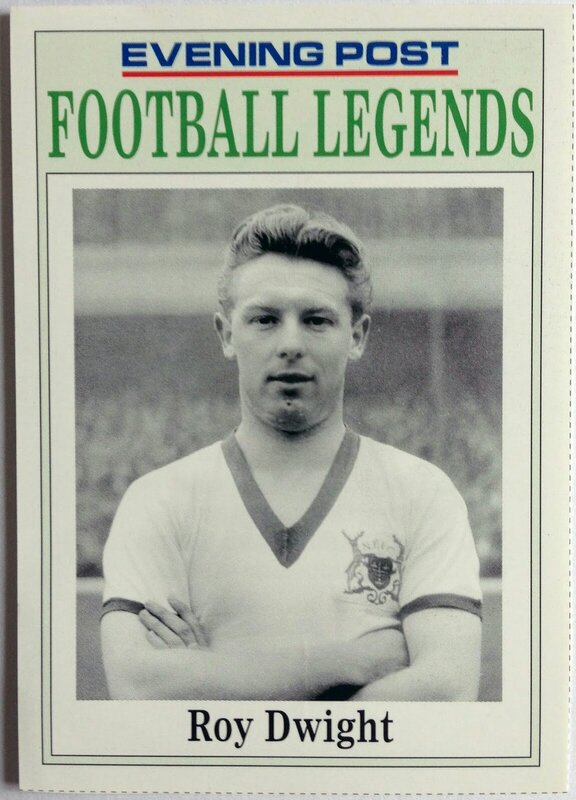 He scored the opening goal for Nottingham Forest in the 1959 F.A. Cup Final against Luton Town, before breaking his leg 20 minutes later - Forest would still go on to win. Born in Belvedere in 1933, Dwight made his league debut playing for Fulham in 1954, where he would score 54 goals in 72 games. Edgar Kail is a name only really known by the saddest of football fans - or just Dulwich Hamlet supporters. Born in Camberwell in 1900, Kail signed for Dulwich at the age of 15, who were then quite a big deal. A committed amateur, he turned down numerous offers from professional teams, and played for Dulwich for 18 years, scoring 427 goals and wining two F.A. Amateur Cups. 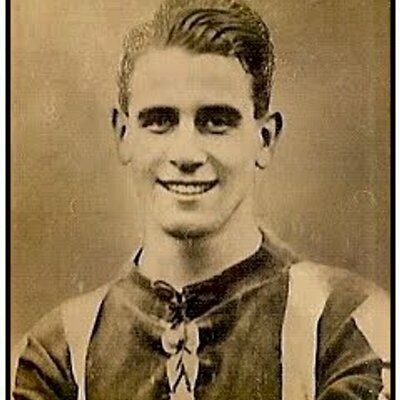 Thought of as the greatest player to ever play for the Hamlet, Edgar Kail is also the last non-league player to play for England. All in all, he played for England 3 times in 1929 and scored 2 goals. This may not be a popular selection as manager, but really, there was no one else. Say what you want about Roy, his record is hardly bad. 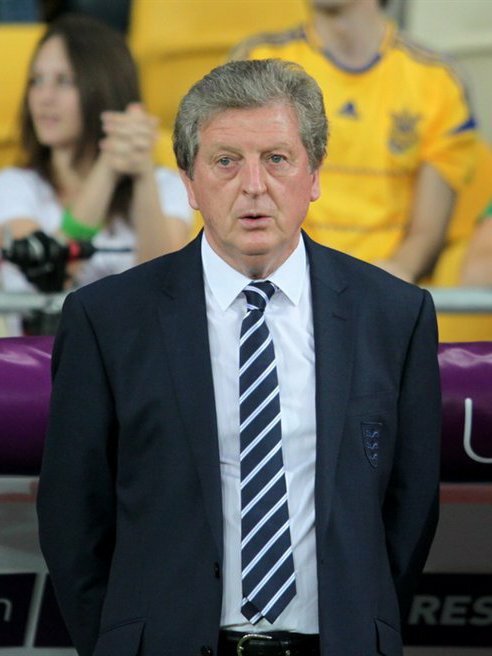 Born in Croydon, Hodgson spent his playing career in the lower leagues, before naturally making his managerial debut in 1976 at Swedish club Halmstad. He won the league title with them twice in 1976 and 1979, the first being rather remarkable considering they had just survived relegation the season before. From then on it's been a career of peak and troughs. 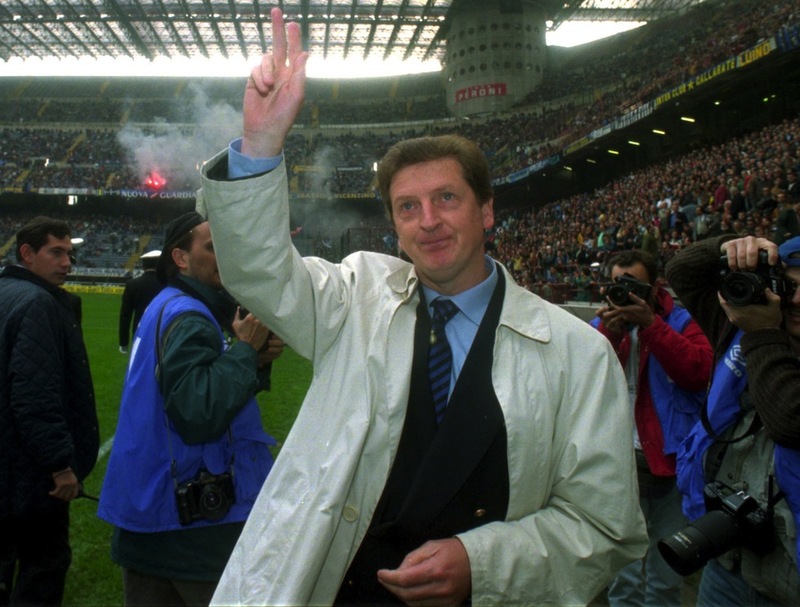 In brief Hodgson has managed: Halmstad (Sweden), Bristol City, Oddevold (Sweden), Orebro (Sweden), Malmo (Sweden), Neuchtmal Xamax (Switzerland), Switzerland, Inter Milan, Blackburn, Inter Milan (again), Grasshoppers (Switzerland), Copenhagen (Denmark), Udinese (Italy), United Arab Emirates (the country), Viking (Norway), Finland, Fulham, Liverpool, West Brom, and then England. During this time he has won 7 Swedish league titles, 2 Swedish cups, 1 Swiss super cup, 1 Danish league, 1 Danish super cup and finished runner-up in the UEFA Cup twice. Not bad for a boy from Croydon. Alan "Pards" Pardew, or Pardiola to his friends, had to get into this setup somehow. When we found out he was born in Wimbledon we just had to fit in the King of Banter somehow. We included this role just to get this absolute menace in. Not much needs to said about Pardew other than the fact that he is a total banter lad legend. You can't leave Pards out, you simply can't. There were plenty of good players who missed out, and the pool to pick from was pretty strong. We should make clear that we're all quite young, so our knowledge of players from South London from a bit further back than the 80s and 70s is not quite as good. Our formation was not decided through tactical preference but rather to try and make the best out of the players on offer.